When Netherrealm studios first brought the heroes (and villains) of the DCU to a fighting game we got Mortal Kombat VS DC Universe, a lackluster (IMHO) fighter with the likes of Batman and Superman going toe to toe with MK staples like Raiden and Sub-Zero. 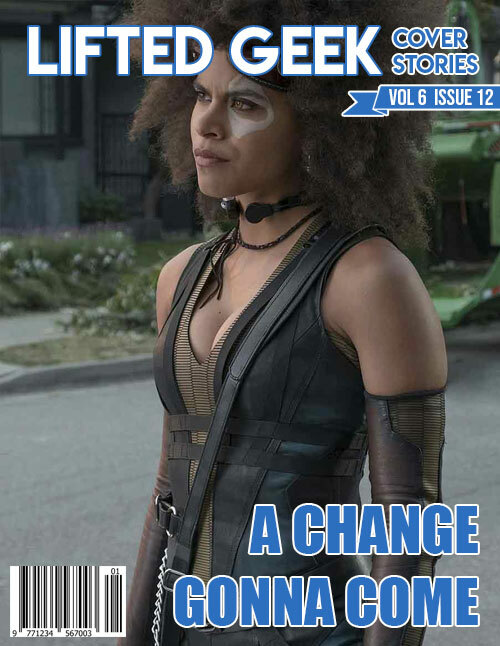 Fast forward to 2013 and Netherrealm releases Injustice: Gods Among Us to critical acclaim bringing to the players a surprisingly complex 2D fighter clearly inspired by the Mortal Kombat franchise, but retaining its own panache afforded by its comic book roots. 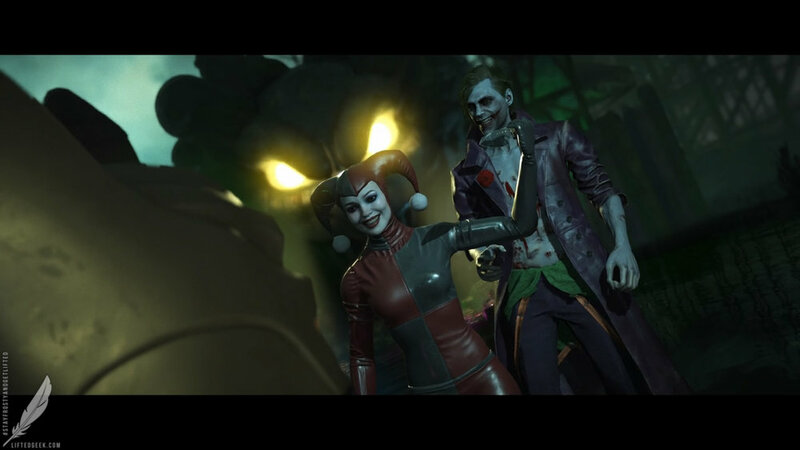 I was a huge fan of Injustice: Gods Among Us so when the sequel was announced I was chomping at the bit to get my hands on it. 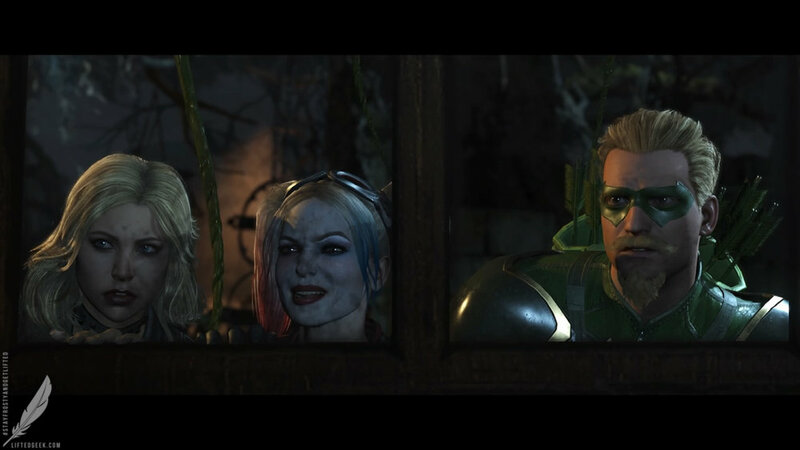 Directly after the events of the first game, Injustice 2 follows the cast from the alternate world with Batman and his Insurgency facing a new threat. Superman is behind bars and what remains of his Regime go into hiding. With a new threat looming… Batman and his Insurgency are forced to join forces with the unlikeliest of allies in Superman’s Regime. Blurring the lines between friend and foe, these two former friends have to put their differences aside for the sake of humanity. 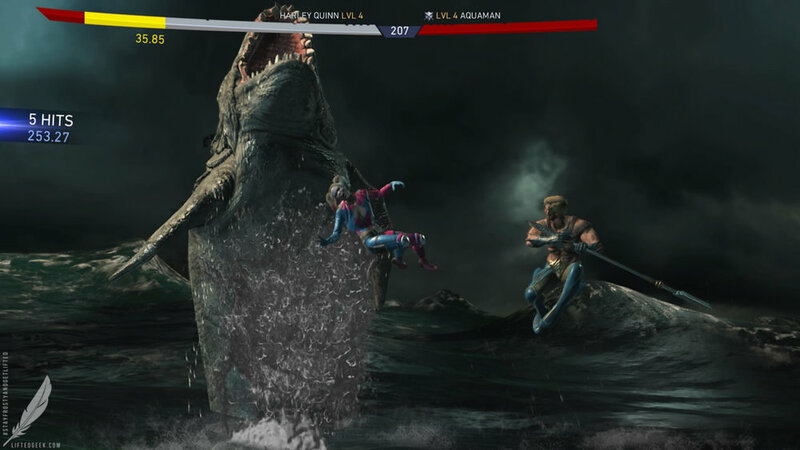 For those who played Injustice: Gods Among Us, the combat is largely unchanged. Combat is played along a 2D plane. Three different attack buttons allow you to perform light, medium, and heavy attacks. 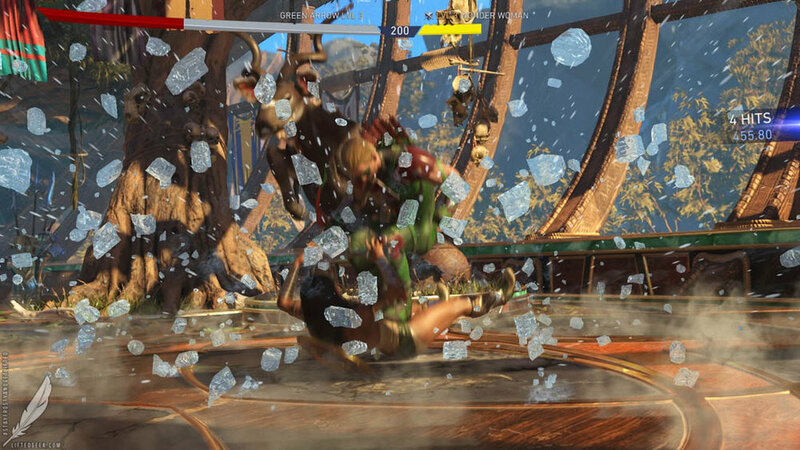 Special moves and super moves deal heavier damage with the ability to use “meter burn” for some special moves to augment them for a greater impact. New to the series is the ability to use “meter burn” defensively. You can burn a bar or two from your special meter to perform tactical evades or air escapes when getting juggled. The clash system also returns, adding another element to the game to turn the tide in your favor. 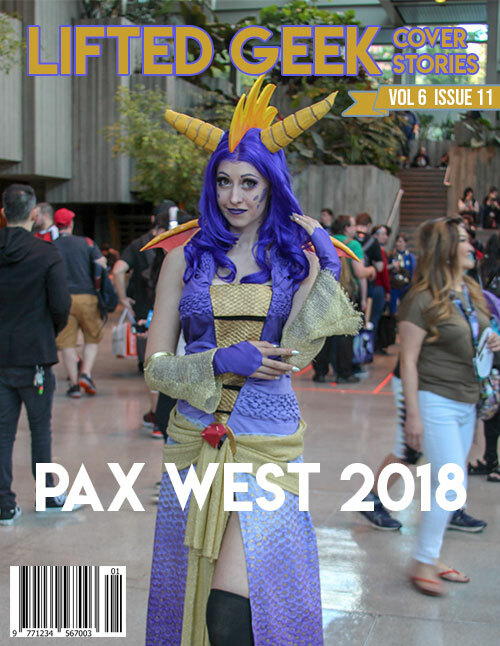 The most exciting new feature is the the gear system, allowing you to equip character specific costume pieces that not only alter the character’s appearance, but also imparts status-altering effects giving you the ability to craft your own take on these legendary heroes and villains. Gear is looted after battles or found in motherboxes. 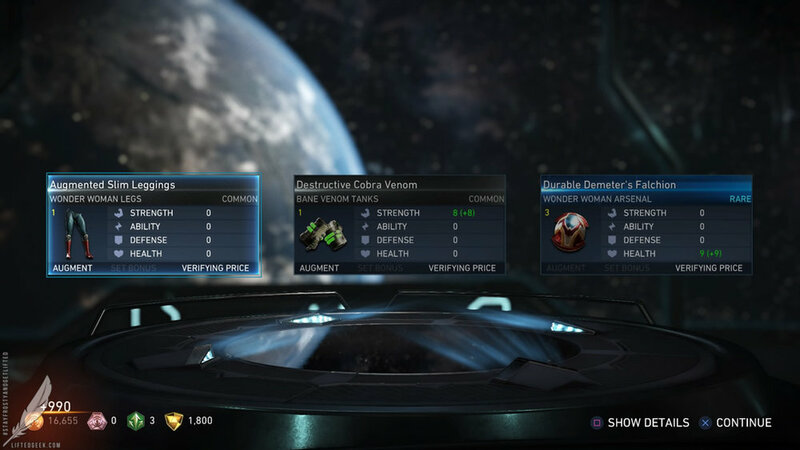 Speaking of motherboxes, these are treasure chests that offer random loot and gear when opened. Similar to Overwatch’s loot box mechanic, you earn motherboxes by playing the game’s various modes. 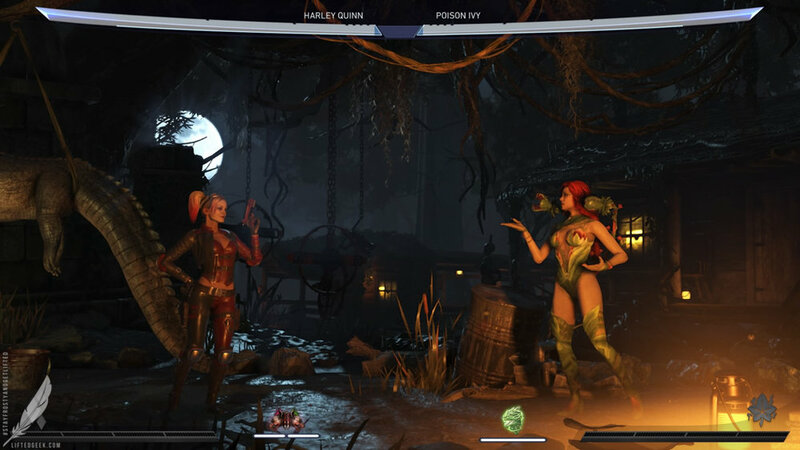 Injustice 2 offers a plethora of modes to satisfy the player whether you plan to go solo or head to head against a friend/rando internet denizen. 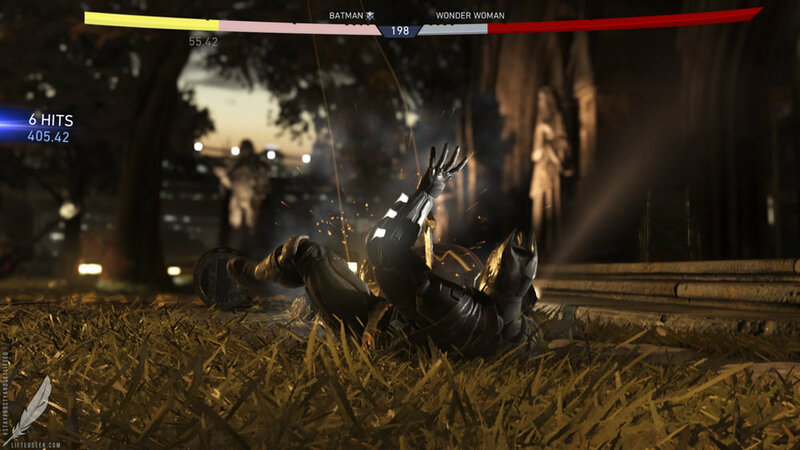 For the solo players, the game’s “Story Mode” allows you to experience the narrative of Injustice 2. It also serves as a good chance to familiarize yourself with the roster, giving the player the chance to control almost every combatant. 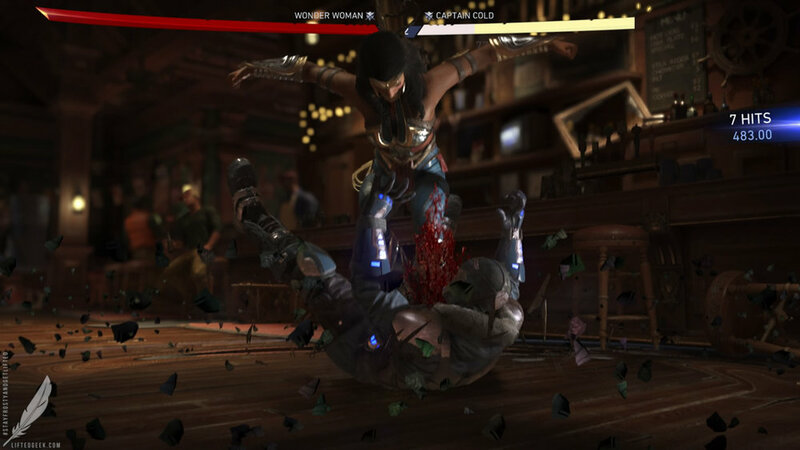 Just like in Injustice: Gods Among Us, each chapter separates a different combatant to control… new to the series is a choice system that allows you to pick between two combatants. 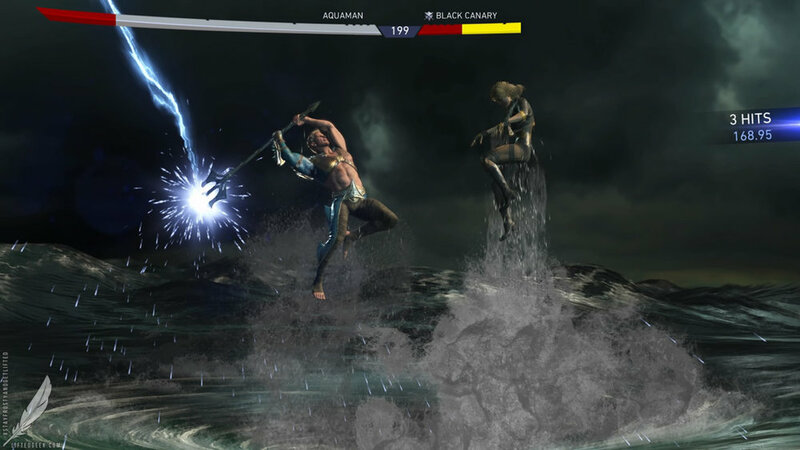 For example, one chapter has you controlling either Green Arrow or Black Canary… you can use one hero for each fight or alternate back and forth. There is also a turning point in the game that can affect the ending, when you make a certain choice you follow one direct path to the finale. 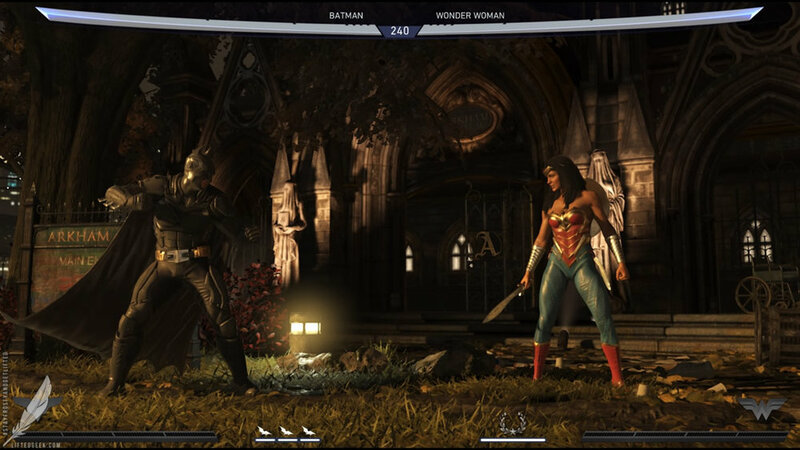 New to the series is the “Multiverse” mode, this new mode offers various missions in the vast DC Multiverse where you face down a lineup comprised of the game’s roster. Multiverse portals open every day and stay open for a limited time, forcing you to strike while the iron’s hot as they say. 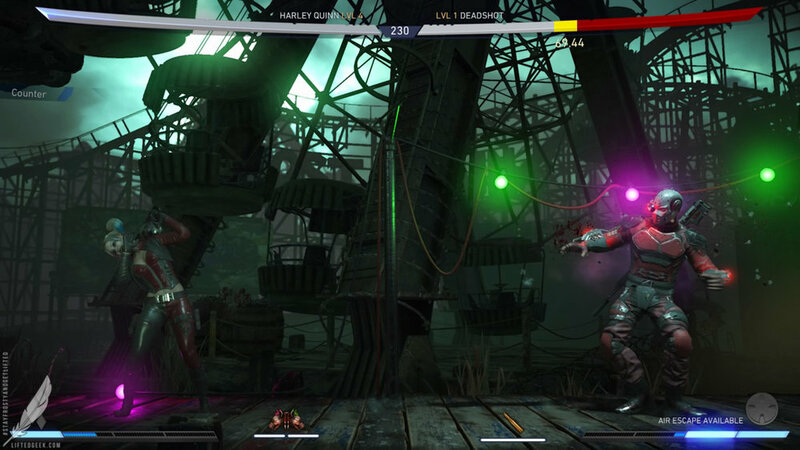 If you played Mortal Kombat X, this mode will feel very similar to the living towers of MKX. Various combat modifiers may also be applied depending on the theme of the portal. Part and par for the course, single player also offers modes like single fight and practice mode. As for playing with your fellow gamer, much like every other modern fighting game, you can go head-to-head with friends on your couch or duke it out online. You can now join or create guilds in Injustice, giving you a new way to play cooperatively with other Injustice 2 players. 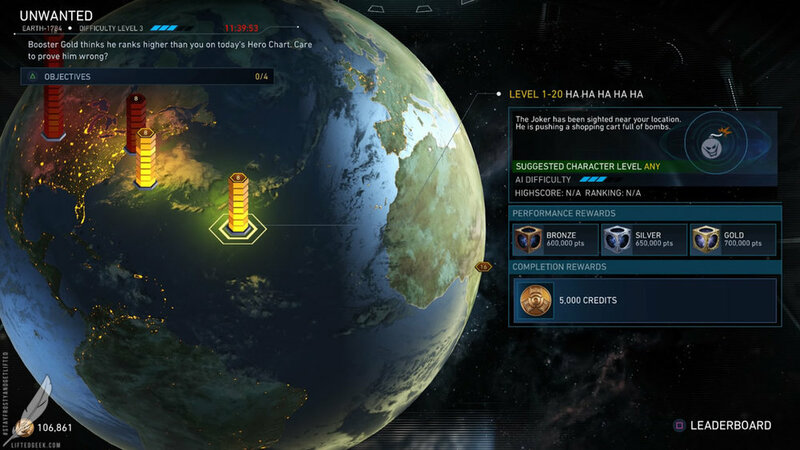 Guilds have separate multiverse missions and rewards, granting rare gear drops or guild motherboxes. 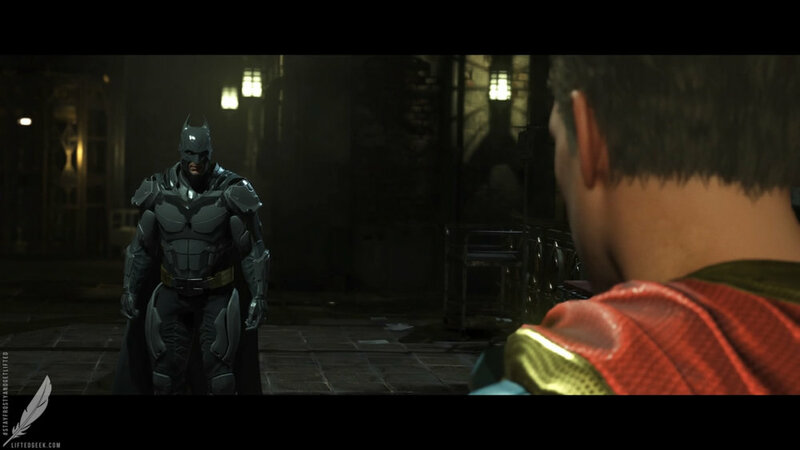 The game’s online mode feels far more fleshed out than it did in Injustice: Gods Among Us. Giving the player more activities just further adds to the game’s replay value. Usually I get into a fighter, do some online matches and of course play at parties… but with Injustice 2 I found myself playing multiverse challenges almost daily. 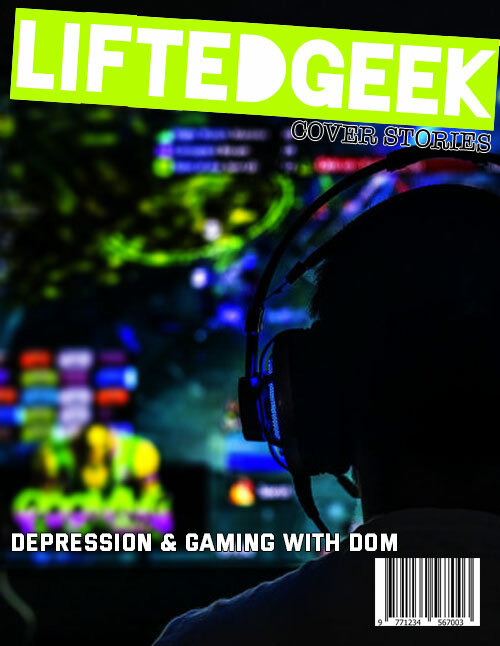 I’ve enjoyed challenging myself and fine-tuning my playstyle. Much of the roster returns with a few notable absences from the last game. Since this game takes place only on the Earth where Superman goes all homicidal dickbag, some characters who are confirmed dead (from the comic and the previous game) don’t show up. Some notable absences are Raven, Shazam, and Nightwing* to name a few. 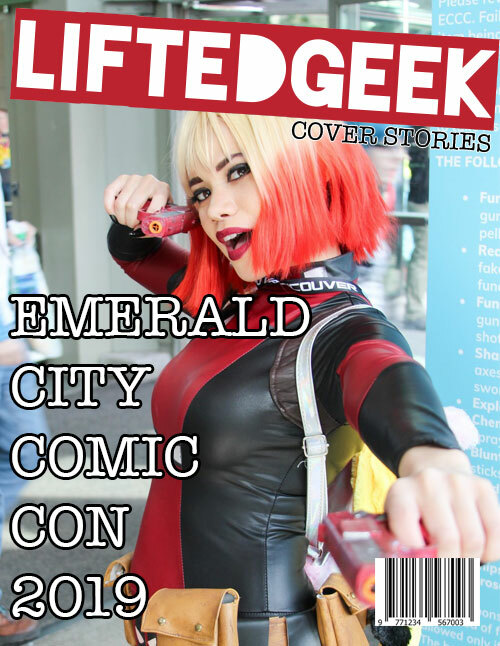 Personally, I was extremely let down that Nightwing* wasn’t in it. Nightwing* was my main dude in the first game and even though a “Damian-Wayne-playing-Nightwing” shows up in the story mode, you never get to actually control him. 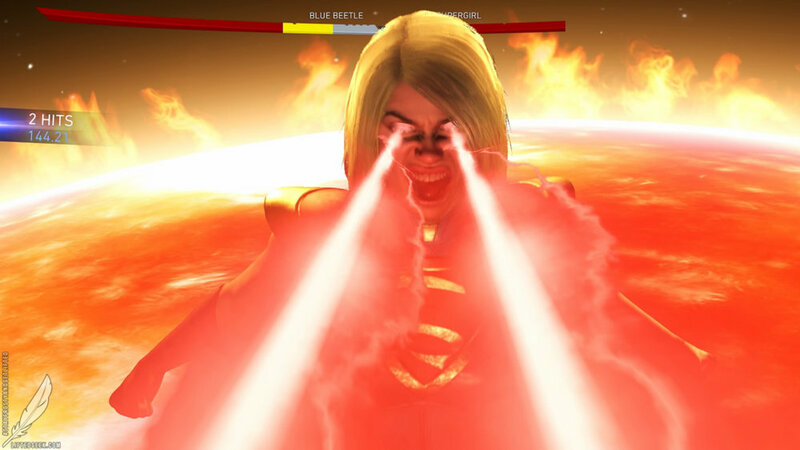 There are quite a few new faces; Damian Wayne as Robin, Grodd, Captain Cold, Atrocitus, Swamp Thing, Scarecrow, Poison Ivy, Doctor Fate, Cheetah, Darkseid, Deadshot, Firestorm, Black Canary, Blue Beetle and of course Supergirl. Some notable DC characters are included as premiere skins you can apply to one of the existing heroes. 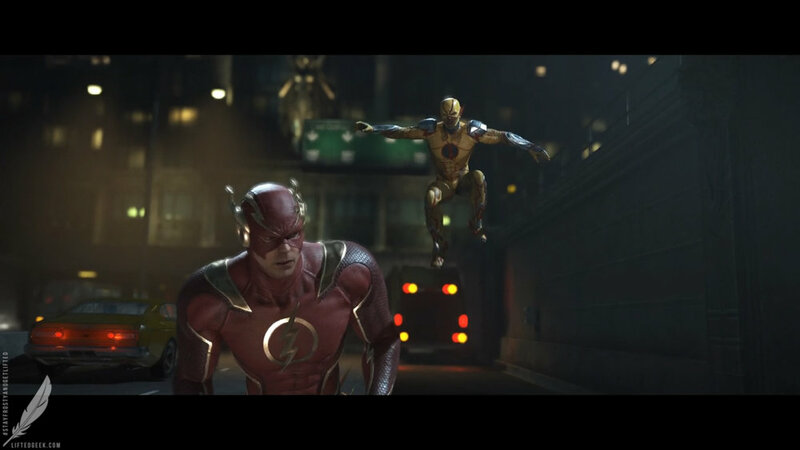 The Reverse Flash and Jay Garrick are unlockable under Flash’s skins while Mister Freeze can be found under Captain Cold. 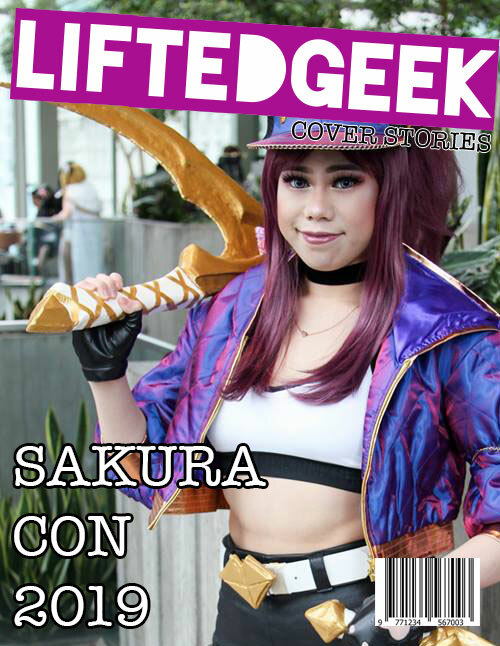 Some characters do still need some balancing, but with a new fighter that is to be expected. 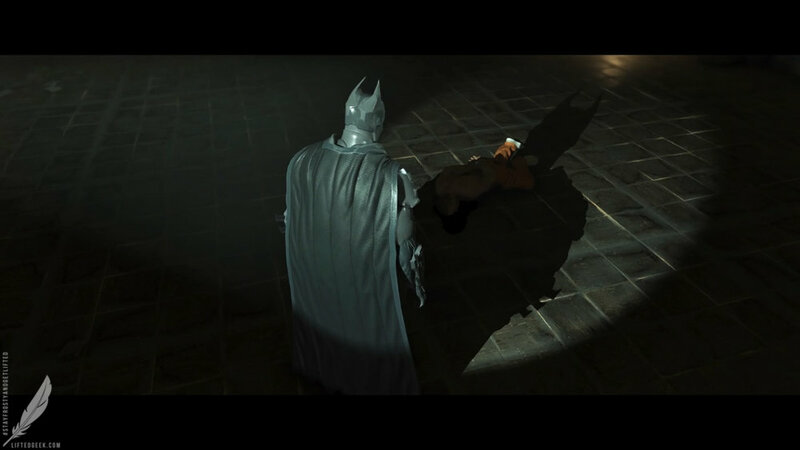 As I stated above, the narrative of Injustice 2 follows the inhabitants from this alternate Earth where Superman snaps after Joker tricks him into killing his wife and unborn child. 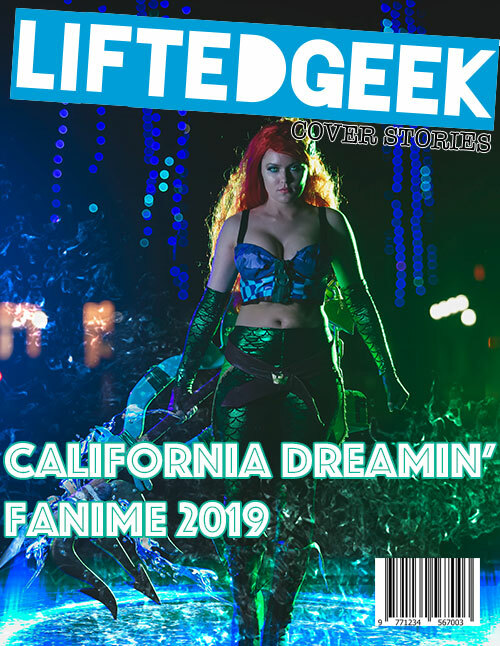 After a coordinated effort between Batman his allies along with members of the Justice League from an alternate Earth, Superman’s regime has fallen… leaving this Earth’s Batman to make right a broken world. Right when everything feels like its finally looking up, a new threat looms in the menacing Brainiac… a collector of worlds and in this continuity the one responsible for the destruction of Krypton. To make matters worse, Gorilla Grodd has collected a group of super-villains who fight back against Batman and his Insurgency under the direct command ofBrainiac. 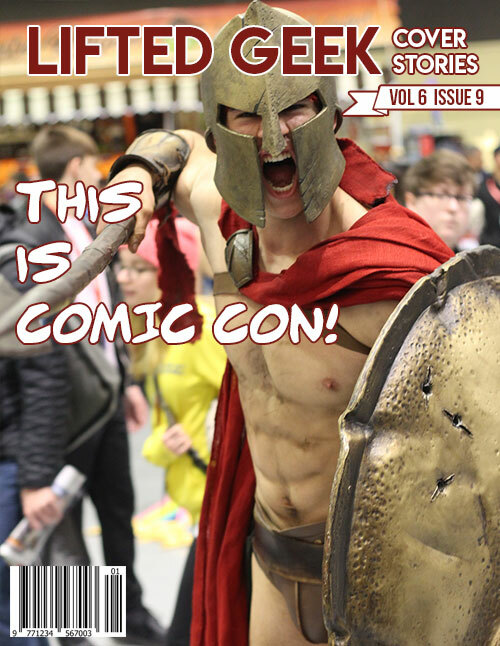 The inclusion of new combatants helped to flesh out this story better than I expected it to. While I wish that most of the original cast (aside from the dearly departed) made an appearance, the new cast did manage to add quite a bit to the overall narrative. None of the new characters felt shoe-horned in to the story… though I wish I could say the same for Joker’s inclusion. Visually, the game veers away from the comic look of the original. Character models and their facial animations are significantly upgraded, taking on a more photo-realistic style. It feels reminiscent of how the art style changed between Batman Arkham City and Arkham Knight. It never feels jarring and personally I’ll take more realistic looking character models over the previous art style. Much of the fun comes from the gear system, not just imparting stat boosts but also cosmetic changes. Mixing and matching pieces to make your Batman look very different from your opponent’s Batman. 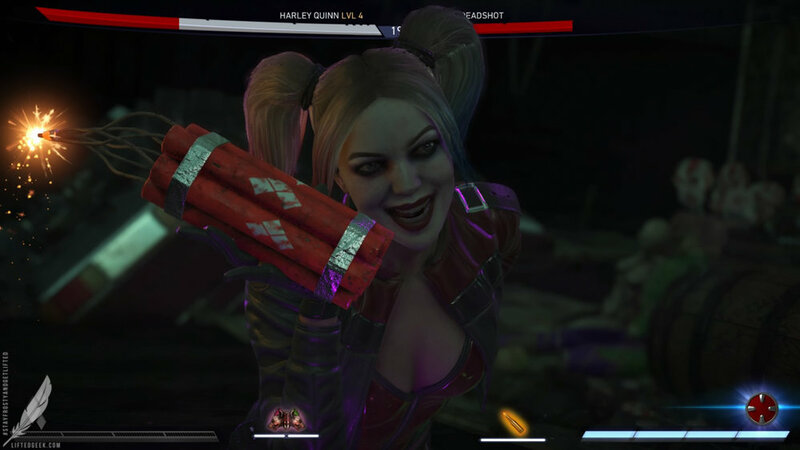 Injustice 2’s more realistic look gives the bombastic super moves that extra “oomph” when you are either on the giving or receiving end of them. 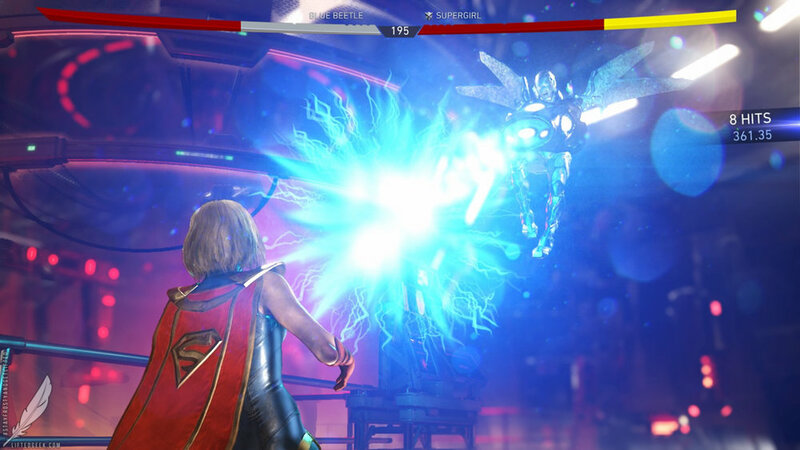 Speaking of the super moves, Injustice 2 manages to improve on them while still retaining a familiar flavor to players of the first game. 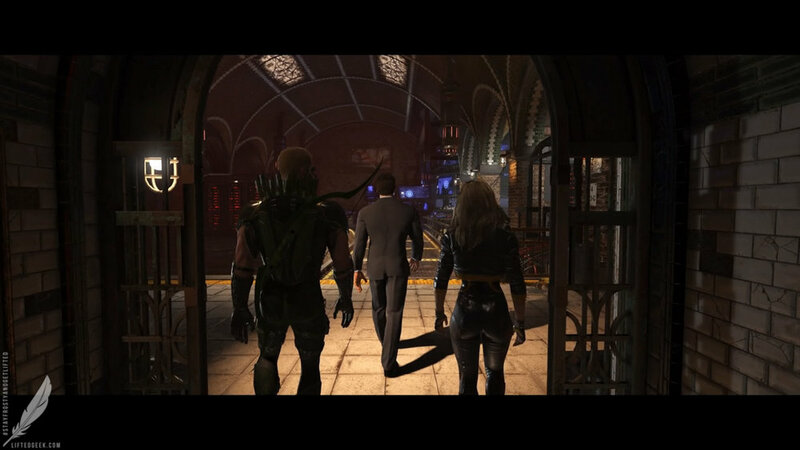 What I do love was how they ditched the STAR Labs missions and the pre-match mini games from Injustice: Gods Among Us. These always felt tacked on and personally I’ll take the multiverse over these any day. I do wish the practice/training mode was more fleshed out. While a quick internet search can help a player train, it’s always nice when the game offers such a mode as part of the package. There’s alot of new here while streamlining what made the first game so fun… while cutting out the bull that felt out of place. 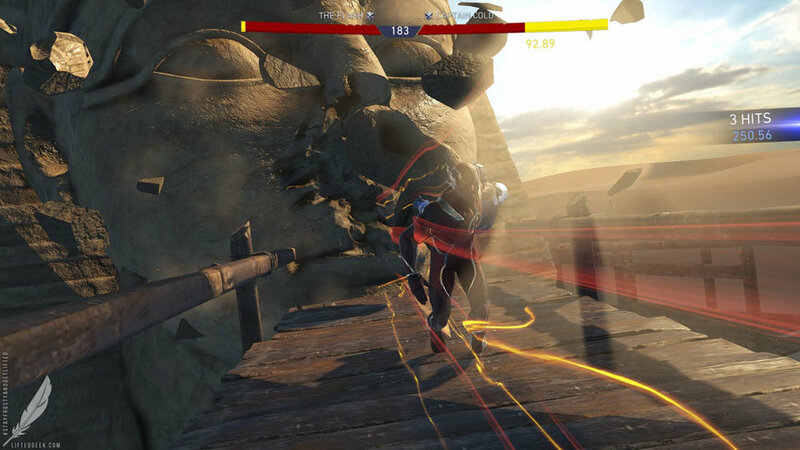 If you are a fan of fighting games and DC Comics… this is a definite must play. 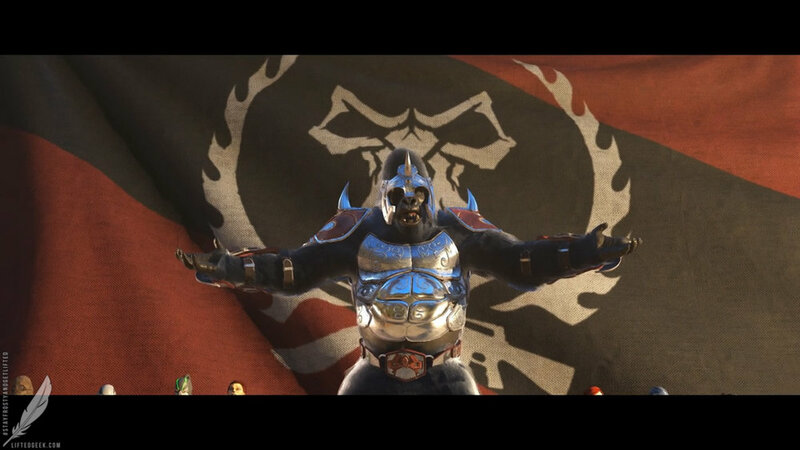 Issues with balancing the gear system does need to be addressed and despite being let down that some of my favorite characters from the last game were unceremoniously booted… I fully enjoyed myself, if you are a fan of this series I feel like you will too. * ED NOTE 6/22/2017: I learned shortly after writing this that NIGHTWING is in a way unlockable via the gear system. You need to get the STAFF OF GRAYSON ability and equip it on Robin to in effect turn Robin into Nightwing. STILL, it's kind of a let down that this character wasn't included at the start and such a long/drawn out process is needed just to get Nightwing.